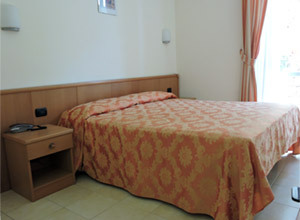 The Hotel Saraceno, run on a family basis, opened in the 2001 Summer. 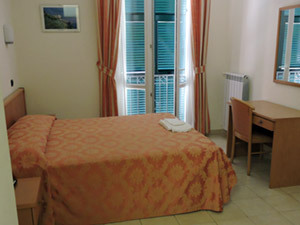 It is situated along the panoramic road that links La Spezia to the Cinque Terre and thereafter goes to Levanto and other lovely places on the Eastern Coast, up to Genoa. Two kms (around 1 mile) from Manarola, in the old village of Volastra (see amicidivolastra Web page) , along the ancient Sanctuaries road where pilgrims used to walk, among vineyards and olive trees, the Hotel - built on the place of an old warehouse for agricoltural tools - has wide, well-lighted and spaced rooms and outside a big terrace looking at the garden in the front. A wide underground garage protects our customers’ cars. 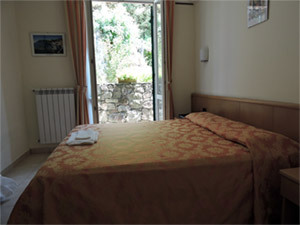 Connections with the seaside and the railway stations are guaranteed through a local buses service, provided by the Cinque Terre National Park. For For everybody who likes to walk, a thick net of paths, signalled on CAI and Park maps, , links Volastra to the most evocative places in the area of the Cinque Terre Park, the sea-coast of La Spezia and the Poets’ Gulf. 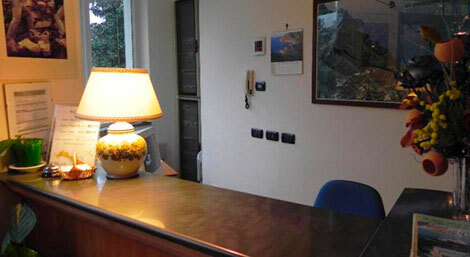 All necessary information will be given in a precise and detailed by Antonella, the owner of the hotel, always helpful and kind, according to the many customers who have visited the facility. 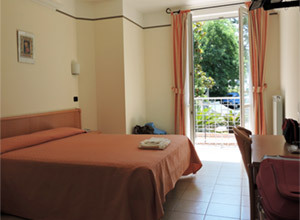 A three-stars Hotel, with seven rooms and luxury bathrooms, phon, safe, satellite TV, ADSL WIFI, warm and rational furniture Each room can be recognized by a visual logo portraying an architectural detail of the Cinque Terre village from which it takes its name. 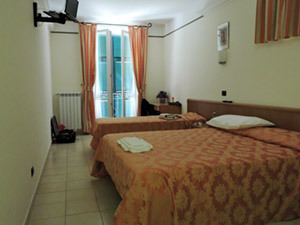 ( The Rooms )	It will be therefore possible to sleep either in the Monterosso room, or in the Vernazza one, or in Corniglia, Manarola, Riomaggiore, as well as (obviously) in Groppo and Volastra, the two closest villages to the Hotel, that is situated 300 metres on the sea level. 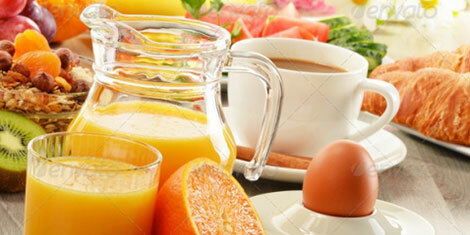 There is a pleasant breakfast room with a rich selection of food and a romantic corner near the fireplace in the hall and close to the bar, We make it carefully, with a rich buffet of sweet and salted food, to ensure to our guests the strength that is necessary for holidays aimed at practising sports and nature pleasures.